In this pdf file, the Arabic alphabet is grouped depending on similarities in shape. Each page has one group with examples and explaining what the sound like. The alphabet is arranged in this way because it is the simplest way to learn them, written and reading. 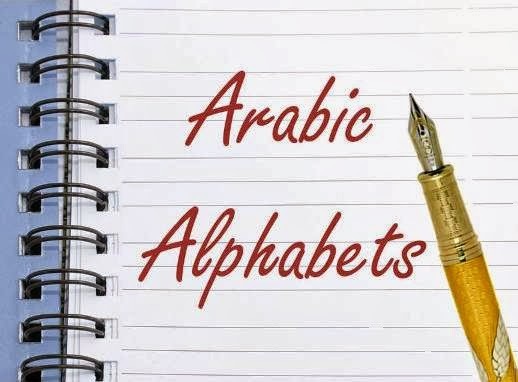 You will find that Arabic alphabet has some letters with no equivalents in other languages, which makes learning Arabic more exciting because you will practice the vocal cords to do new sounds. And that is why Arabic language is considered to be very poetic and musical language. Listen to the audio for pronunciations. Don't forget to repeat and practice.